We are also Exporters of Tawas Crystal(ALUM) and we can provide it in bulk quantities. As to Salt Tiles, We make as large as salt tile Measuring(in inches) 16”x12”x2” and 13” Round Tile. We have also sent a few pictures of these Edible Salts. If any other sizes, we can also provide them. Real Salt is an all natural unrefined sea salt harvested from an ancient ocean. 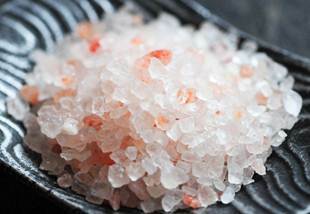 It’s full of those natural minerals that make it healthy, delicious, and pink or red looking.The differences between Real Salt and Celtic sea salt is a great salt harvested from the current ocean. They do a terrific job with their salt, harvesting it by hand and leaving it unprocessed so it contains those important trace minerals. Compared to Real Salt, the biggest difference is that the current ocean is exposed to many environmental challenges (mercury, lead, plastic & petroleum toxins, chemicals, etc.) that ancient seas never experienced. (That’s not to say Celtic users have anything to worry about, but we people do tend to foul up the oceans terribly, sometimes. )Like Real Salt, the Himalayan brands are harvested from an ancient salt deposit that would have been created long before there were any modern toxins. Geologically, the Himalayan deposit is very similar to Real Salt; they both have the full spectrum of minerals and both can be considered crystal salts. Tasted side by side, Real Salt is a bit sweeter, while Himalayan tends toward an earthy flavor.The big difference between Real Salt and Himalayan is to do with consequences of geography. Real Salt comes from the USA (Redmond, Utah), and the Himalayan deposits are in and around Khewra, Pakistan. There are 17 different mines supplying the Himalayan brands, and some have more modern standards than others. Generally, Real Salt is half the cost.